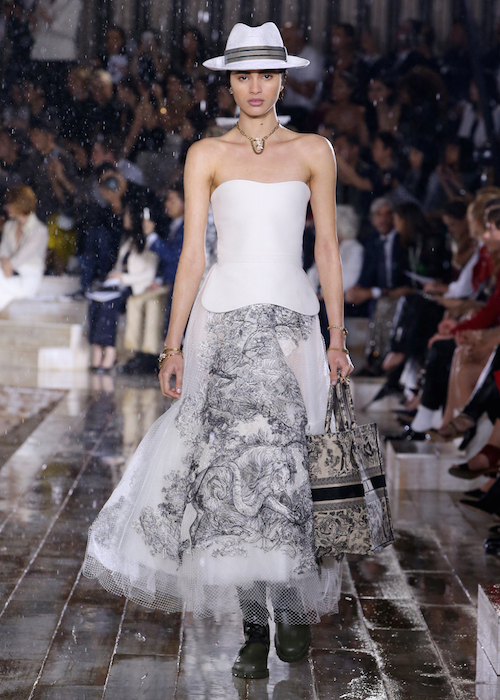 SUNDAY DIOR ROMANCE: As Dior continues to transition into a more (believable) feminine vibe, the 2019 cruise collection under the creative direction of Maria Grazia Chiuri continues to captivate me sweetly. Embroidered Sheer dresses and skirts with feminine flirty details complement the rich brocades and more tailored silhouettes. Speaking to both the young and older women, the 80-some looks shown on the Cruise runway in Chantilly (BTW also can mean whipped cream) excude a fresh feminine yet feminist vibe. Sweet meets Equestrian ! 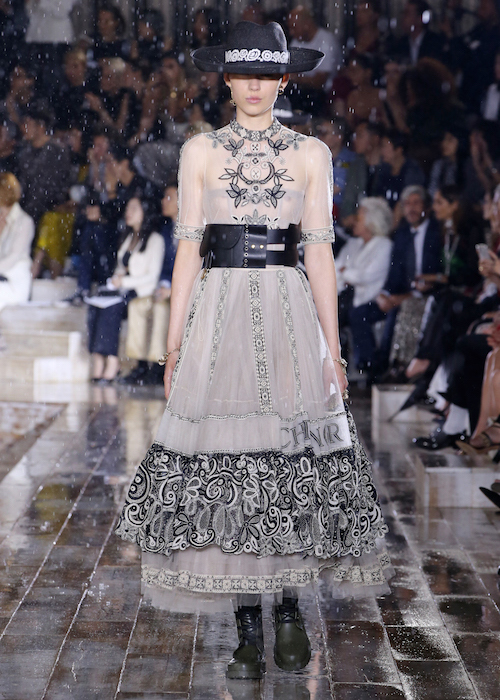 Here is the entire DIOR CRUISE 2019 collection and inspiration. I just couldn’t pick faves this time – and I love so many of the looks. “Each of the women presented [in this volume] is one and multiple, both herself and many others, some illustrious and some less well known to us, but all of whom resemble her in some way.”- Nicole Loraux, La Grèce au féminin. 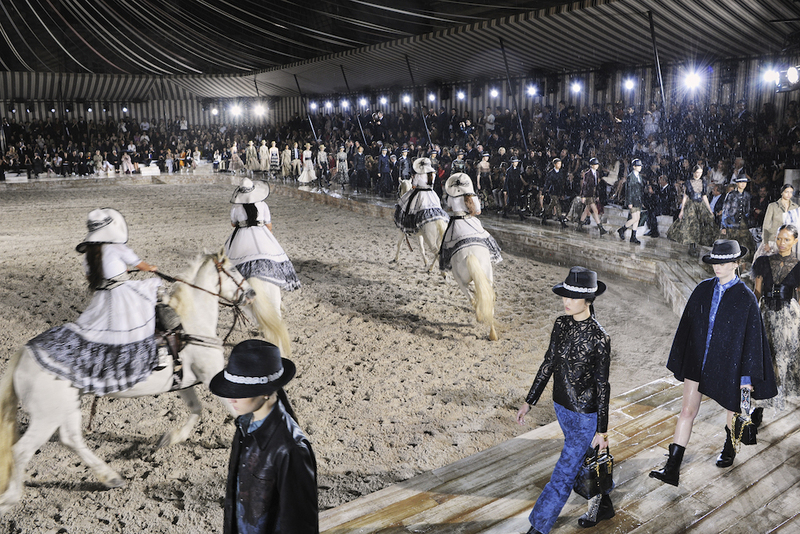 The escaramuzas are traditional Mexican women riders who have claimed the right to participate in the charreada – an equestrian practice of performing several challenging routines before a crowd – just as the male riders do. 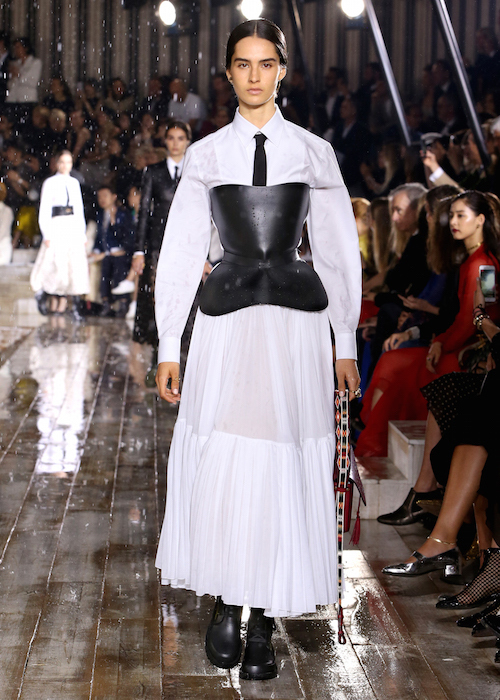 With their strong, sculpted bodies clad in costumes that emphasize their femininity (full skirts, embroideries, bright colors, large hats and flowers), these women proved an inspiration to Maria Grazia Chiuri, the Artistic Director of the Dior women’s collections. For the 2019 cruise collection, she interpreted these elements combining tradition and freedom in a contemporary way. …Ample and extravagant skirts are worn with fitted jackets that accentuate the narrowness of the waist, emphasized with a high belt. The collection is punctuated with different materials, such as that great French classic that is toile de Jouy, which has been revisited and modernized, its picturesque scenes featuring the introduction of a series of wild animals, including tigers and serpents. 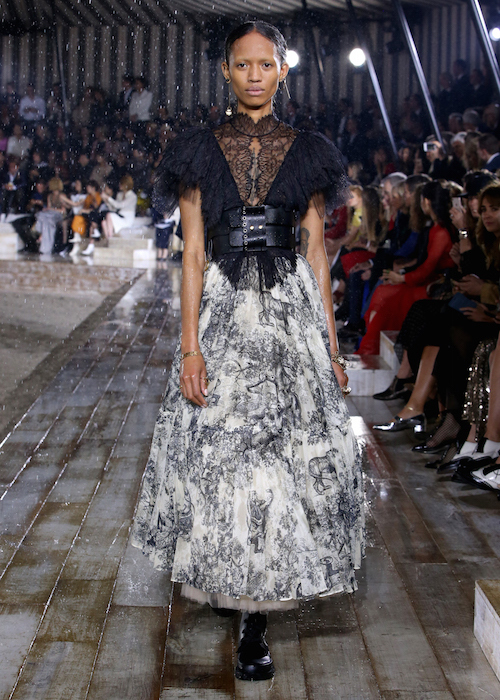 Lace, whether light or opulent, layered in pleated flounces or perfectly rounded, is set off by black rubber boots that contrast with the more contemporary elements: transformed tulle skirts and Bar jackets possess an assertive air. The tulle blooms a powerful red as well as in superimposed powdery shades. 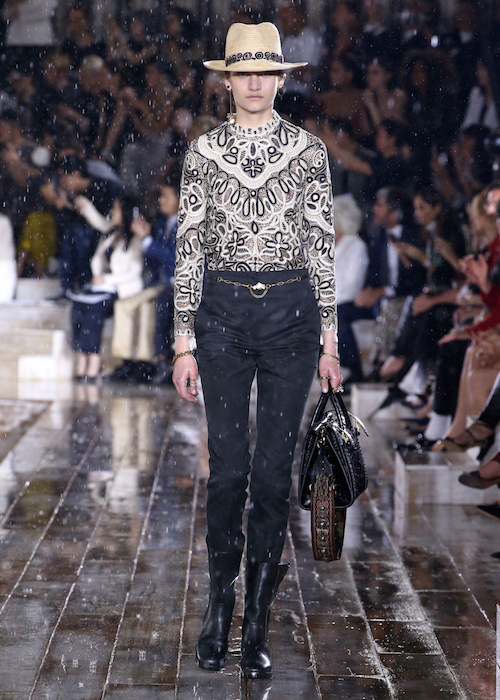 DIOR CRUISE 2019 complete show commentary by Brigitte Segura. 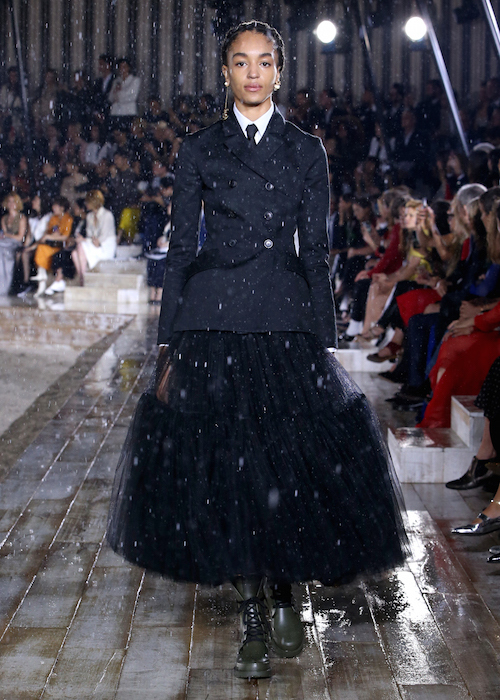 photos: Adrien Dirand, Estelle Hanania, Dior.